Michael Werner was the venue for a substantial exhibition of work by Hurvin Anderson, titled ‘Subtitles’. The exhibition took place 27 January - 12 March 2011, at Michael Werner, 4 East 77th Street, New York 10075. A total of 16 works were shown in the exhibition. This large format, lavish catalogue accompanied the exhibition. Its text took the form of a transcribed conversation between Hurvin Anderson and Matthew Higgs. MH We originally met in the late 1990s at the Royal College of Art in London when you were a student and I was teaching in the painting department. Looking back at that time how would you characterize the shifts that have taken place in your approach to painting? HA In many ways my approach to the paintings hasn’t fundamentally shifted, in that the paintings are still centered around sites of leisure. In the earlier paintings I was essentially making paintings of one place but actually thinking about another, different place. I seemed to be looking at England, my place in England, but there was always a disconnect between what was depicted and what I was actually thinking about. Whereas now the paintings are actually of that other place: the Caribbean. Within the catalogue, full double or single page details of paintings took their place alongside plates of entire paintings. This is a particularly substantial, attractive catalogue of Anderson’s paintings. 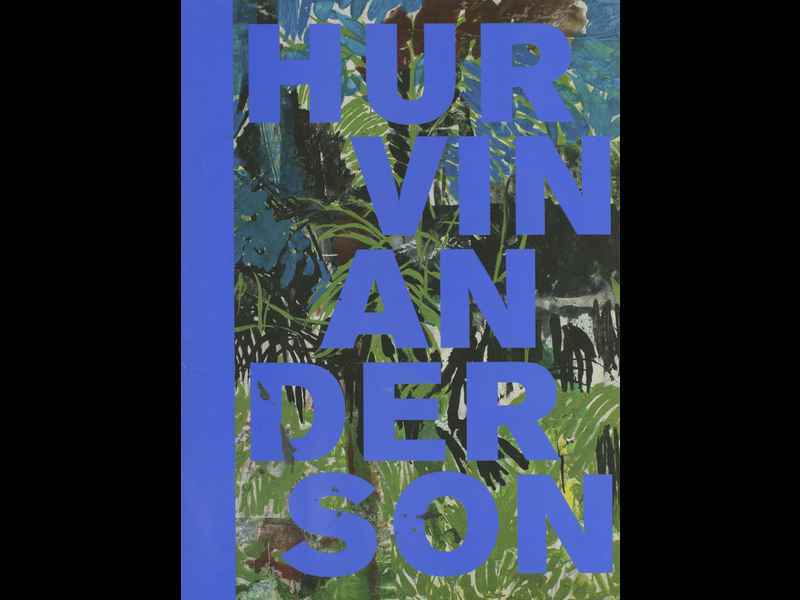 A catalogue that very much does justice to the artist and his singular practice.